No-Shave November seeks to grow awareness — not to mention hair-ness — about cancer. The organizers want people to embrace their hair, which many cancer patients lose, and to let it grow — as the holiday’s originators say — “wild and free.” No-Shave November is a fun and creative way to remind folks that many of our friends and neighbors struggle every day with the disease and with efforts to fight it. Moreover, organizers also encourage participants to donate the money they’d normally spend on hair care to cancer support and educational organizations. The family run, web-based No-Shave November organization has grown exponentially since 2009. In fact, the organization has raised more than $2 million dollars to date. ​​The Hill family of Chicago decided to use No-Shave November — already a longtime tradition — as a way to raise money for charity. Matthew Hill, the father of the originators of No-Shave November, passed away from colon cancer. The rules of No-Shave November are easy to remember: Don't shave during the month and, instead, donate your typical monthly hair expenses to the cause. Set up a fundraising page for people to donate to the cause as you let your beard, mustache or leg hair grow during No-Shave November. ​Before razors, people would remove unwanted hairs using two shells or other sharp tools to pluck the hairs out. Macedonian king Alexander the Great was a strong proponent of shaving, because he appreciated how tidy it made everybody look. ​Shave and a haircut — at home? 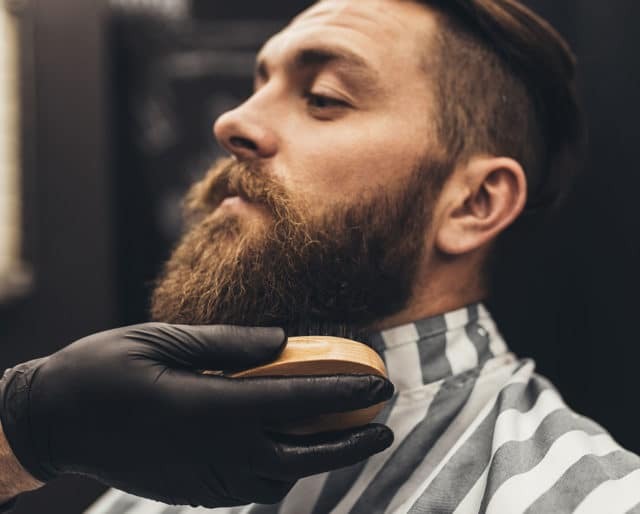 ​According to some estimates, barbershops' share of shaving revenue dropped from 50 percent in the late 1800s to about 10 percent by 1939 due to the invention of personal electric and safety razors. Confucians were discouraged from cutting hair, fingernails or beards, since Confucius himself said the body was a gift from our parents. Western women began shaving their legs en masse right around the First World War when dress hemlines became shorter and swimsuits became more revealing. Most people know someone who is suffering from cancer. Although treatment has improved over the decades, it remains one of the deadliest diseases in the world. Trends come and go. Then they come back. One trend that came back around (with a vengeance) is facial hair. You can't throw a stick these days without hitting a dude with a bodacious beard or a 1970s-style mustache. The clever idea behind No-Shave November is the idea that cancer patients often lose their hair. No-Shave November brings that into focus while raising money and awareness.